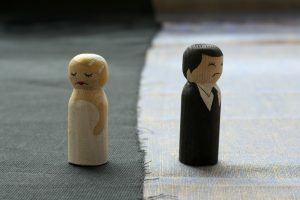 Home » Divorce » Legal Separation or Divorce : Which Is The Better Option? There comes a point in time when married couples realize that there is no point continuing their relationship. When their marriage is in shambles, the first thing that comes to mind is divorce. But there is another possible option that they can consider and that is legal separation. These are two different legal issues that couples can resort to if they want to end their marriage. But which is the better option? Would you rather be legally separated or divorced? 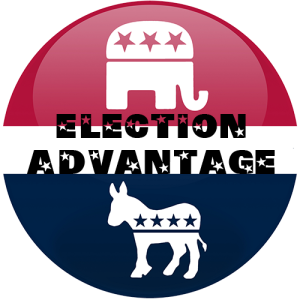 Before deciding on the better option, it is worth understanding the difference of the two. Legal separation is an agreement entered into by couples acknowledging that they are still married but not living together. It is a contract that defines handling of assets, liabilities, and other financial matters. Divorce, on the other hand, dissolves the marriage. This means that they become single again and thus can marry again. The couple signs an agreement that lays down details on distribution of properties or assets, child custody, visitation, and support. Staying legally separated is a better option than divorce for a variety of reasons. It gives the couples time to decide if they really want to divorce or give their marriage one more try. By opting for legal separation, you are protecting yourself from desertion. If there is no agreement, the spouse could be charged for desertion or abandonment. Second, legal separation gives the children of the married couple to prepare themselves emotionally for the change or adjust themselves to the new situation. Divorce can carry with it a social stigma which can carry over to the children. It is quite clear that the most affected when married couples decide to end the marriage are the children. A third reason to choose legal separation over divorce is that a spouse can still enjoy the medical benefits of their spouse’s health care plan. If they are a spouse of a military personnel, legal separation is the best option if they want to enjoy the benefits provided by the Uniformed Services Former Spouse Protection Act, provided that they stay married for a minimum of 10 years to enjoy the benefits accorded to members. Ending a marriage is never an easy decision. There are many individuals who will be affected most specially children. So as much as possible, try and work out your differences and save the marriage for the sake of your children.